Since the mid-1900s, state and local governments have struggled with the issue of taxing remote sales. For decades, the primary method of remote sales was in the form of mail-order businesses. In 1967, the U.S. Supreme Court ruled in Bellas Hess v. Department of Revenue, 386 U.S. 753 (1967), that a state could not require sellers to collect use taxes if the only connection with customers in the state is through materials sent by common carrier or mail. Then in 1992, the Supreme Court upheld the standard in Bellas Hess in Quill v. North Dakota, 504 U.S. 298 (1992), holding that a state can only require a business to collect and remit sales tax if the business has substantial presence (i.e. nexus) in that state. 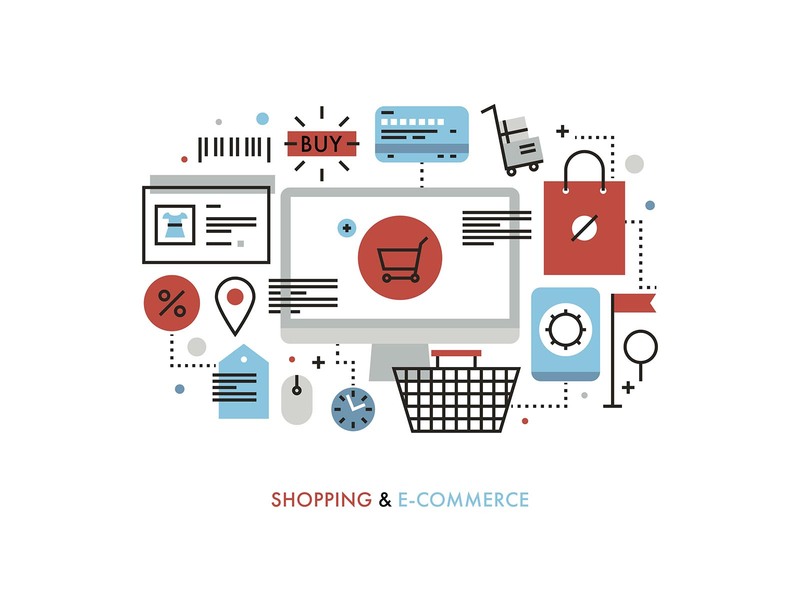 Both decisions, however, occurred well before the Internet forever changed the way consumers shopped and transformed the retail marketplace into the billion-dollar global platform we know today. As a result of these decisions, state and local governments faced growing numbers of uncollected sales taxes over the past several decades. In an attempt to remedy this, there have been efforts at the federal level to enact legislation that would establish a framework of sales tax simplification and administration. The intent of the framework is to bring sales tax laws into the 21st century and grant state and local governments the ability to enforce existing sales tax laws on remote sales, while also minimizing the burden of collection on retailers. The billions of dollars state and local governments forego each year is much needed revenue that could support vital services in communities across the country like infrastructure, public safety and education. But 2018 proved to be a landmark year for the issue of remote sales tax. In June, the U.S. Supreme Court reversed those two pivotal cases by finally removing the antiquated physical presence requirement that has burdened state and local sales and use tax laws. While the origins of the Internet date back to the 1950s, the Internet as many of us know it now, emerged in the late 1980s and early 1990s. But it was not until the 2000s that the Internet’s true capability to serve as a significant retail platform really began to evolve. A prime example of this trend is retail data on Black Friday, the traditional start of the holiday shopping season. For years, Black Friday was marked by customers lined up outside of retail locations eager to score an early-bird special. But as more customers flocked online, the numbers painted a very different picture. For Black Friday 2017, shoppers spent a record $5 billion online, marking an almost 17 percent increase in sales over the same 24-hour period in 2016. While the Quill physical presence standard was in place, online-only retailers were able to enjoy a 5-10 percent competitive advantage because they did not have to collect sales taxes. Not only did local businesses suffer, the communities they supported suffered as well. In addition to the taxes that weren’t collected, less of the money from the sale was reinvested in the community. It also is a common misconception within this debate that state and local governments simply want to tax the Internet. But given the trends over the last decade or more, the primary objective is to help existing sales and use tax laws reflect and keep pace with evolving technology. This would level the retail playing field, ensuring updated tax policies apply to all retailers, whether they are online or in a brick-and-mortar location. For decades, the issue of remote sales tax has floundered in the U.S. Congress with the only major milestone being the Senate’s passage of remote sales tax legislation in 2013. Since then, several states have made efforts to enact state laws to address remote sales, setting the stage for dual tracks for resolving the issue. On June 21, 2018, the U.S. Supreme Court issued a decision that essentially clears the path for states to enact laws on taxing remote sales. But the decision did not necessarily prescribe how states should design their tax laws post-Quill. Rather the decision more or less pointed out that South Dakota’s law was one way to do it. What remains to be seen is how other states will react and whether this development will motivate Congress to act and create a national framework for sales tax administration. Over the last decade or more, several bills have been introduced in the U.S. Congress to establish a national framework to allow states and local governments to enforce existing sales tax laws and potentially recoup the billions in revenue lost every year. The farthest any proposal has advanced in Congress was in 2013, when the Senate passed the Marketplace Fairness Act in a strong bipartisan vote. Unfortunately, the House failed to capitalize on the momentum to advance the legislation to the President’s desk. Since then, legislation has been reintroduced in each chamber. There are minor differences between bills, but they largely follow the same approach to simplify sales tax administration. The Marketplace Fairness Act (MFA) would grant states and local governments the authority to compel remote sellers to collect taxes regardless of their location. The amount of tax would be based on the location of the buyer, i.e. destination-based sourcing. Under the legislation, sellers who have less than $1 million in annual remote gross receipts would be exempt from the requirement to collect. States would obtain the authority only after they have simplified their sales tax laws. Similar to MFA, the Remote Transactions Parity Act (RTPA) would also grant states and local governments the authority to compel remote sellers to collect taxes regardless of their location provided states adopt minimum simplification requirements. Further, like MFA, RTPA utilizes destination-based sourcing to determine the tax amount and it provides two options for states to meet the simplification requirements. One of the major differences between RTPA and MFA is found in the small seller exception provision. During the first year following enactment of the RTPA, sellers with less than $10 million in annual remote gross receipts would be exempt from collection requirements. This threshold is lowered and ultimately phased out by the fourth year following enactment. Formally adopted in 2002, the Streamlined Sales and Use Tax Agreement (SSUTA) is a result of a collaborative effort between government and business to simplify sales and use tax collection and administration. Member states of the SSUTA must adhere to provisions that call for uniform tax definitions, uniform and simpler exemption administration, rate simplification, administration of sales taxes at the state level, uniform sourcing of taxable sales and state funding of the administrative cost to business. The ultimate goal was to minimize the costs and potential administrative burdens on retailers that collect sales taxes, particularly those operating in multiple states. Currently, 24 states have adopted legislation to conform to the SSUTA. Under the SSUTA, technology is one of the primary tools to address a long-held concern of the retailers — the administrative burden of performing the sales and use tax functions for remote sales, especially when having to deal with different states. The SSUTA not only certifies the software that retailers can use to assist in sales tax collection, the software is provided at no cost to the business. In conjunction with simplified tax laws and definitions and streamlined administration with states, the burden on business is substantially reduced. The next several months and years will certainly be indicative of how the sales and use tax landscape will evolve. With some states already implementing and others preparing to effectuate remote seller laws soon, the decision by the Supreme Court will undoubtedly play a major role. Given the state-by-state development of the laws, any state’s law could potentially be challenged. But there is relief knowing the antiquated physical presence standard no longer stands in the way of developing laws to reflect the 21st century retail marketplace. Now that this hurdle has been removed, only time will tell how successful states will be in implementing the collection requirement on remote sellers. Further, the question remains whether Congress will ever decide to weigh in with federal legislation or whether they will simply let the states chart the course. Nonetheless, there is no question that technology will continue to improve and allow greater innovation in the retail market, as well as allow for greater strides in the administration and simplification of sales tax. To download the Government Finance Officers Association’s complete version of the report, visit https://www.gfoa.org/bringing-sales-tax-21st-century. For more information, visit www.gfoa.org/flc or contact GFOA at 312-977-9700. Mike Mucha is the deputy executive director for the Government Finance Officers Association. On January 3, the bipartisan duo of Representative Nita Lowey (D-N.Y.) and Representative Peter King (R-N.Y.) introduced the Securing Access to Lower Taxes by Ensuring Deductibility Act of 2019 (SALT Deductibility Act).